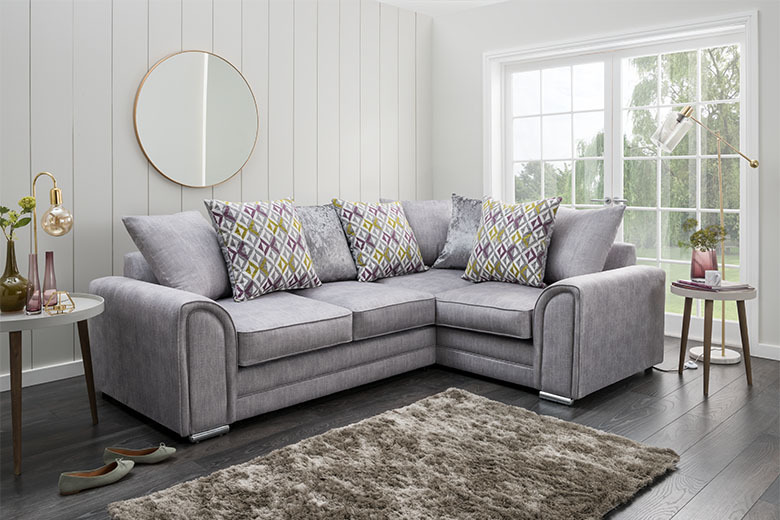 Stunning corner sofa & chair collection in a beautiful soft fabric. In fresh silver colour with coordinating scatter cushions, in subtle spring colours, that will lighten up any home. Strong Colourful Coordinating Scatter Cushions.